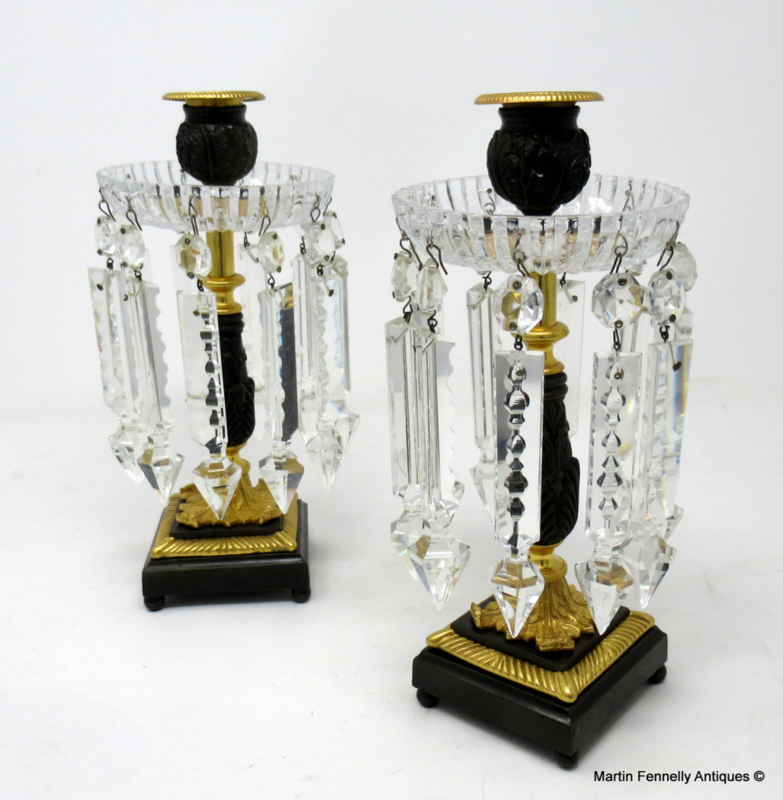 Stylish Pair of English Early Victorian Cut Crystal, Ormolu & Bronze Single Light Candlesticks - Lusters, first half of the Nineteenth Century. 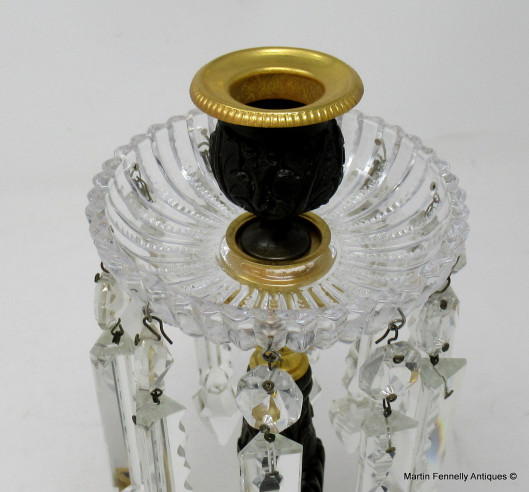 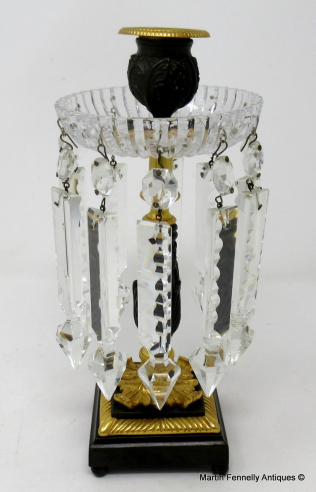 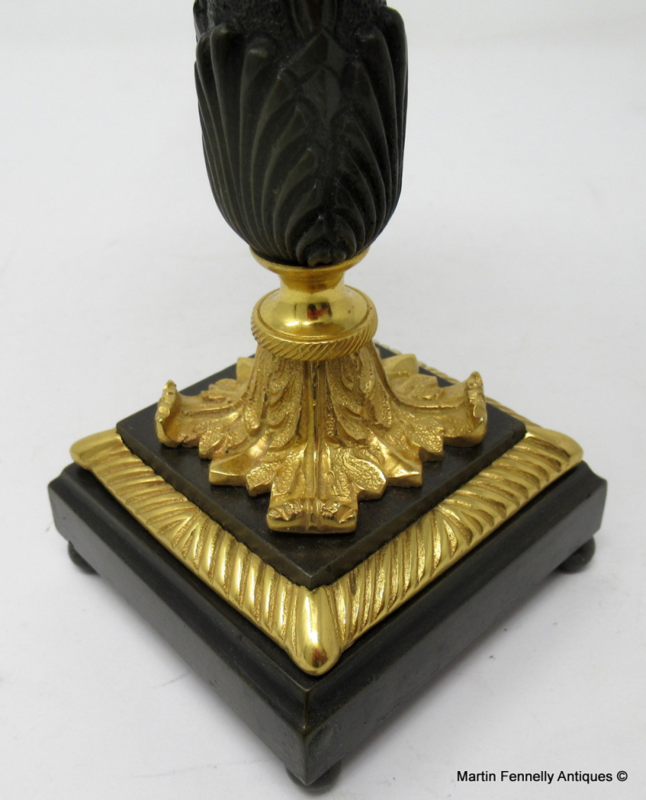 Each complete with their original facet-cut crystal prisms above a circular central decoratively cast bronze column ending on an ormolu finely cast acanthus leaf detailed square platform bronze base which is raised on four miniature ball supports. 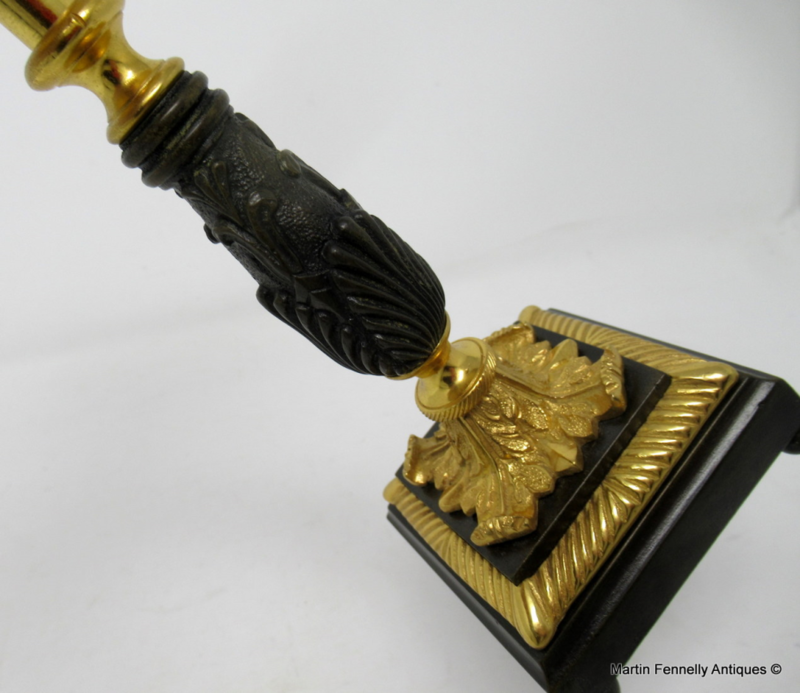 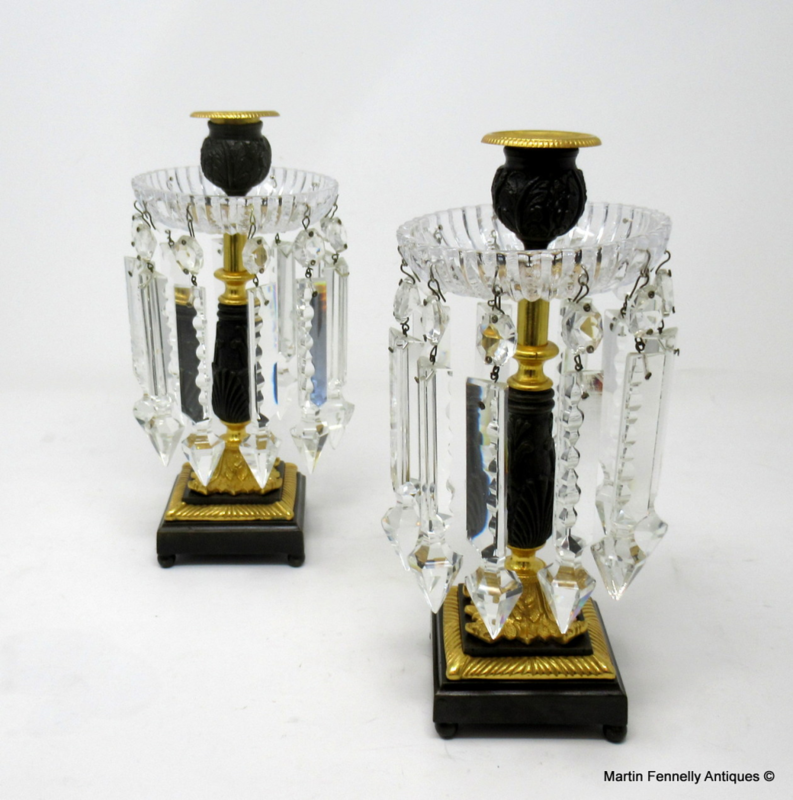 Condition: These candlesticks have been professionally re-gold plated and bronze patinated, all glass prisms are present and in good condition. Both pieces retain their weighted interiors. 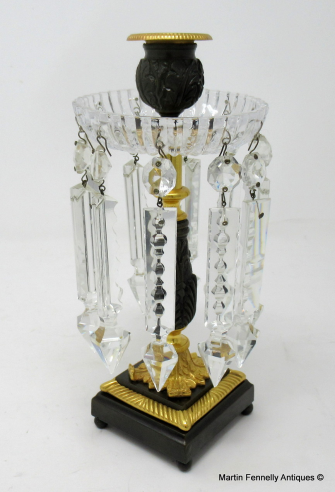 Height: 9" (23cm). 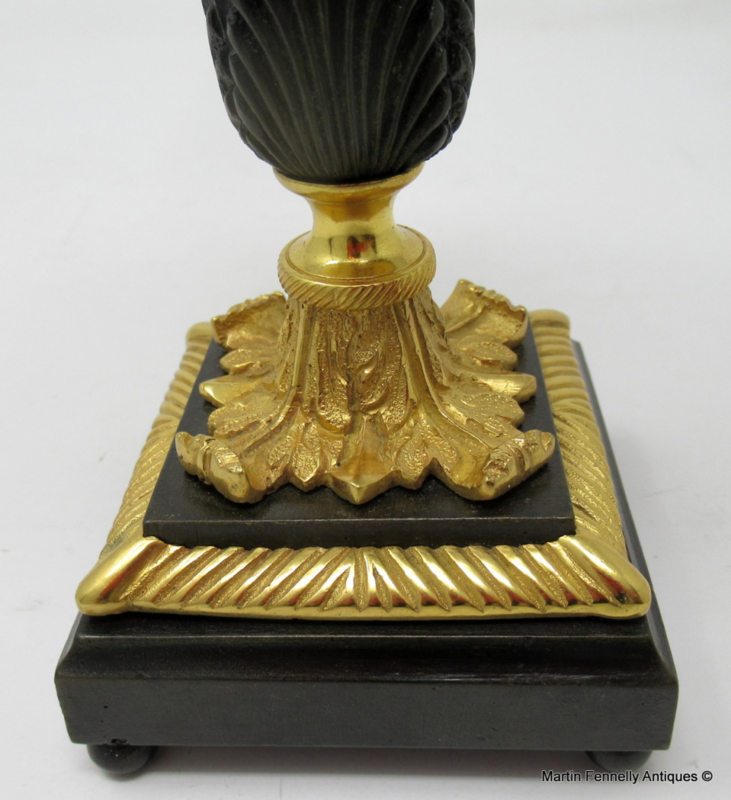 Width: (base) 3" (7.5cm). Depth: 3” (7.5cm).